CYBER MONDAY stamp seal print with grunge texture. Seal shape is a rounded rectangle with frame. 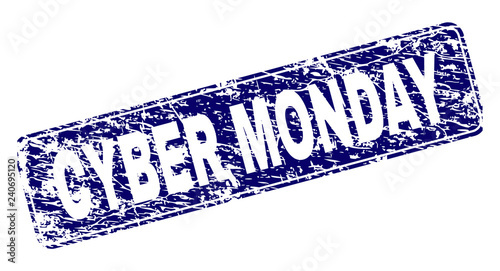 Blue vector rubber print of CYBER MONDAY text with grunge style.